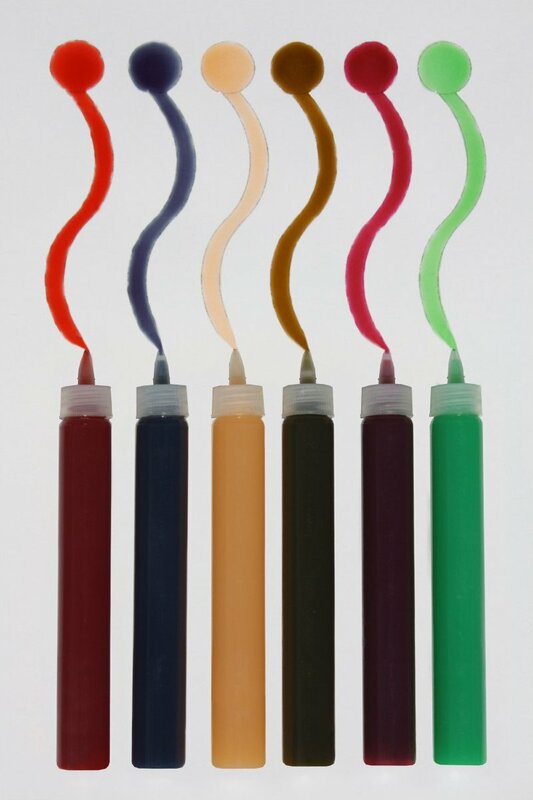 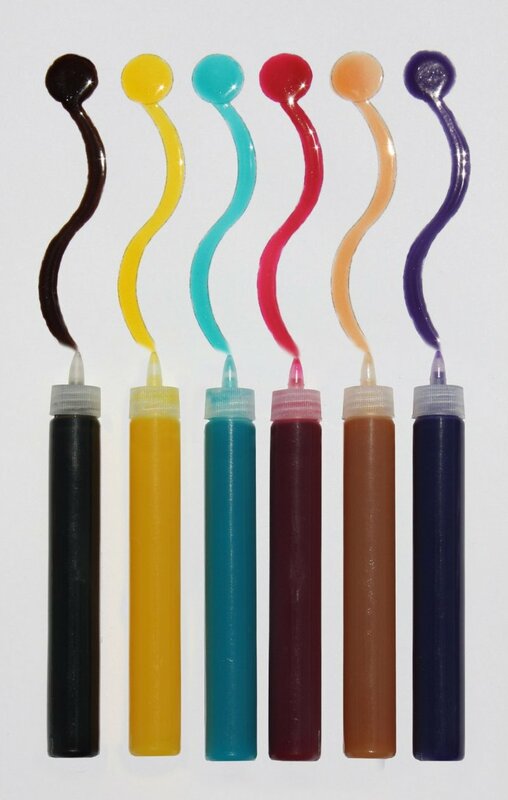 Six of 0.5 oz 3D Crystal Color Lacquer in pen style applicator bottle with fine tip. Including colors are: Sky Blue Yellow Green Purple Peach Pink and Orange. 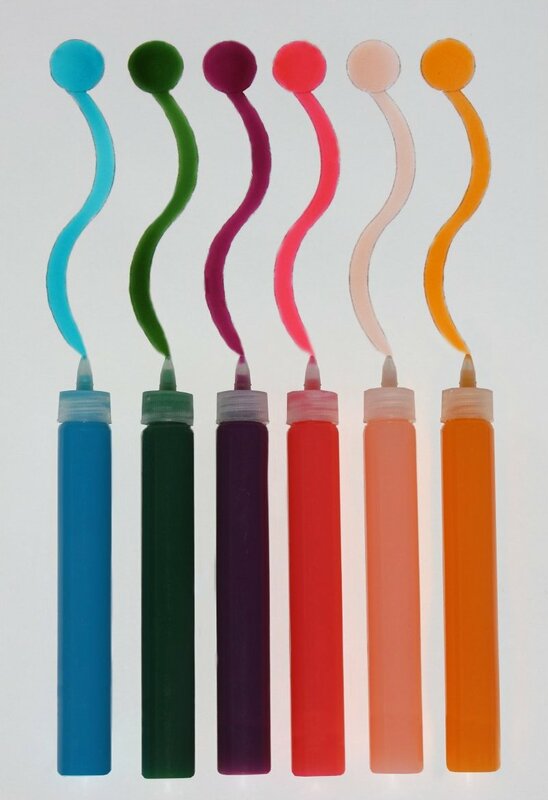 Six of 0.5 oz 3D Crystal Color Lacquer in pen style applicator bottle with fine tip. 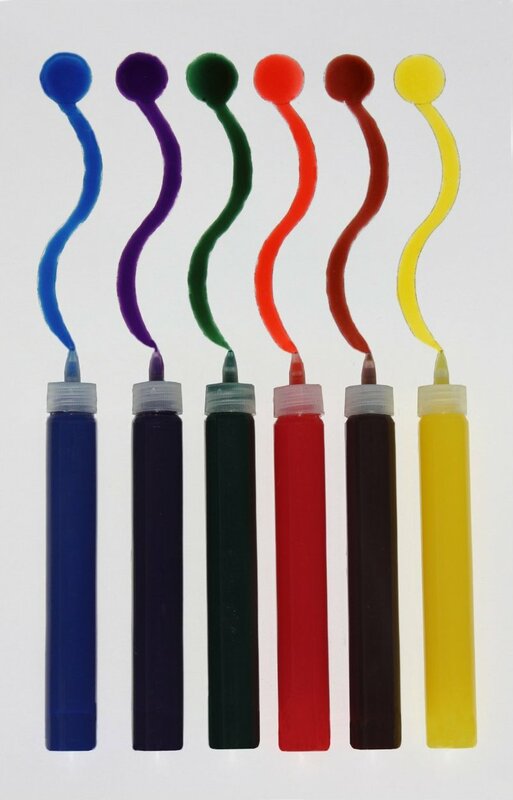 Including colors are: Country Red Country Blue Ivory Moss Green Berry and Jade Green.